Makes ya’ wonder: does one keep returning to the same information resource / magazine / blog / radio station… because it confirms the reader’s worldview? Or because it continually informs, and the worldview adjusts accordingly? Probably a bit of both, but I get great comfort reading Fast Company and seeing ideas I can relate to and agree with. For me, I get a bit of both from Fast Company – no matter what I read, I always learn something. Many times it’s just a new way to articulate a big idea. It’s been 10 years since Don Rood of The Felt Hat melted my brain (in a good way) with “A brand is a promise.” The sound still goes off for a second when I think about the way he describes brands. Mobile solar power, you say? What the…. 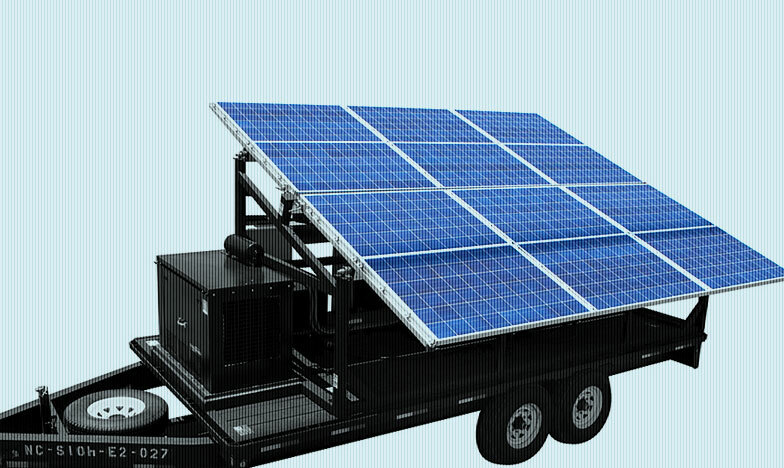 Well, in my role as VP Marketing for Pure Power Distribution, I have become an expert in mobile solar power. I have been quoted in Forbes, the LA Times, and other publications. The point is, this article, sponsored by this revered company, helped my personal branding as an archetypal Sage. There is a lot of info out there on archetyping, but in my humble opinion, Mark & Pearson’s The Hero and the Outlaw is the most comprehensive study on archetyping in marketing and communications. I know I’m not alone in this thinking. And though I might quibble about whether the Caregiver and the Lover; and Magician and the Creator; are often too close to distinguish in reality, my copy of “H&O” is well-thumbed. When creating a brand for yourself (or a company, if you do this professionally), it makes sense to first think about where you fit in the world of archetypes. Archetypes are simply personality categories or types that are common throughout cultures – using an archetype, one can understand what a person (or brand) should do in a situation. Take Clint Eastwood: Outlaw (Rebel hero who goes his own way), Explorer (seeking truth and freedom) and now Sage (now that he’s the elder statesman of actors). Or Apple Computer: Magician (formerly Outlaw when “battling” with Microsoft back in the day) with hints of Innocent and Explorer. I believe my personal Archetype is Magician, with Sage and Explorer qualities. (Brandhouse has summarized the Mark and Pearson definition of Sage here). So this article was helpful in supporting the Sage role I enjoy playing. I know my stuff, deep and wide. I research the hell out of topics and practice speaking about them until I can tell a compelling and simple story, no matter how complex the topic. As a creative thinker and copywriter (Magician), I can make esoteric stories interesting using quote-worthy phrasing. Tax credits? Got it. Green building. Call me. Mobile Solar Power. What would you like to know? And while I worked with other clients, I knew their stories cold: What does FAO stand for in FAO Schwarz? (I wrote the FAO Schwarz catalogues for 2 years). Has Bill Bowerman’s original waffle iron ever been found? (I wrote the history of Nike, including the waffle-iron-story, for the Nike exhibit at the Boston Marathon). Why was the first building in Portland’s “River Blocks” called the “Meriwether” (I named both). As a Magician (+ Sage/Explorer), I know what to expect from myself, and my clients know what to expect from me. It helps in getting hired, and it helps in doing a job well. A few weeks ago I learned I had double the number of people and companies following me on Twitter, and vowed to double it again over the weekend. In actuality, small numbers here, but the concept was valid. Grow the channel. Now we are 3 weeks later – not 1 – but the report is good: I have tripled that earlier number, not doubled. From deep in the annals of movie history, the answer to life’s big question resonates. And we will experience those same knowing laughs, as the various meanings of The New Answer trickle down from our marketing brains to our nether regions. Meantime, lots of savvy folks are building their brands using video. As you’d expect, Coke, Mastercard, U2 and Nike blow up the market with video. But what if you’re small (but have big aspirations?) Can you afford video? Some are showcasing their abilities through incredible animation work (a little off-topic, but I loved this little film). One of the most charming and smart videos I’ve seen was done by an attorney friend of mine, who’s taking a genius Tosh.0 spin on the ho-hum topic of the law. Is the law boring? Hardly! … And so your brand – personal brand, company (and our ‘creative portfolios’) should include video. Today, I have twice as many followers on my Twitter account as I had yesterday. Yesterday, I doubled the number from the previous day. I’m following a few more people and organizations than I’d like, and will probably cull that list over the weekend. Especially the ones (like Mashable) that Tweet like they’re on meth – is that called Twitterhea yet? During that same weekend’s span, I will try to double my followers again. It’s clearly an unsustainable pace, but it’s interesting to watch who comes in, and which of my new followers seem to be ‘on the same page’ as I am. Yvon Chouinard didn’t like the quality of the climbing hardware he had to use, so he started making his own – which eventually led to one of the most innovative clothing companies in the world, Patagonia. Steve Jobs didn’t like the beige boxes available in personal computing (or BASIC), so he and Steve Wozniak designed their own computers and operating system – and founded the world’s most valuable company, Apple. Bill Bowerman wanted a lighter, more grippy sole for running shoes, and so he poured rubber in his wife’s waffle iron to make the first Blue Ribbon Sports running shoes, which became Nike. Ginger Smith was driving elderly people to their medical appointments (because there wasn’t a service that did this in Nashville until she started one), and noticed that all wheelchairs look the same – so she formed Ann Sloane to design wheelchair covers that could be personalized, as well as handbags for walkers, which make these elderly people happy. 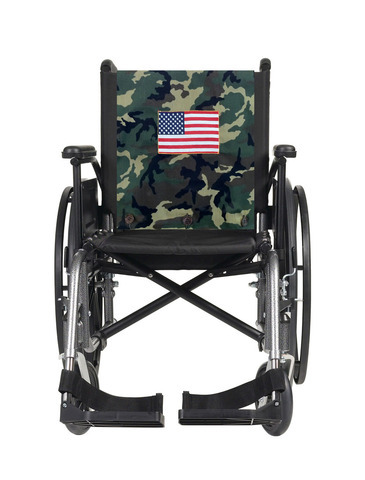 Now she’s making them for Veterans, cancer patients and wheelchair athletes, too. The Founder’s Legend can be one of the most powerful assets you have to differentiate yourself and your company from the rest. The Legend shows your knowledge of an industry or product, your insight into what could make it better, and your drive to share that knowledge with the world. In my humble opinion, ALL businesses need a Founders Legend. What’s yours? Many (many many) of you are currently “in the hunt for more remunerative endeavors,” as my friend Sam would say, and so can relate to the seeming conundrum of what to put in the resume, versus the bio. Your resume is the laundry list of all the wonderful (and hopefully not exaggerated) things you’ve accomplished during your career. Keep it simple, brief, 3-4 bullets per gig, and begin each bullet with a power verb. In the resume, one should “utilize” (instead of “use”) terms such as “Initiated”, instead of the pedestrian “started”; “implemented” instead of the more passive “managed”. Everything you’ve done is purpose-driven, results-oriented. Do your best to communicate forward motion and initiative. The bio is the brief paragraph or two that summarizes how all your career moves form a carefully calculated connect-the-dots arc that have made you well-rounded and desirable today. Rather than bullets, it is a narrative format, and gives you a little leeway to tell a story. “Christopher Smith began is advertising career by writing a national ADDY finalist in his first 9 months, and was nominated as Associate Creative Director in 3 short years”, for example. Wouldn’t you read on? Went Downtown on Friday night for what could have been the biggest dork-fest in history- except it wasn’t. In fact, it turned out to be a remarkable experience – which showed (again) me what I’m just dumb enough to re-learn dozens of times over the years: life is what you make it. And better, you can find happiness anywhere, even joy. My Dork meter was pegged, but my friend Sam insisted, so I bit. With a little smirk. You know the one. Smack in between the Les Miserables banners and the 50′ tall Placido Domingo face stood a stage above about 100 people who were dancing within a velvet rope rectangle. On stage, the Bollywood Dance instructor, shaking it. Even from 100 yards, her back-of-the-house smile draws you in. Before her (and her DJ), people of absolutely every description imaginable flinging their hands, stepping the steps, and having a good time. A really good time. You can feel it when it’s genuine. Dork Alert back down to green, and now I’m enchanted. After a half-hour break (with a tango lesson thrown in), the little Bollywood area became a world dance club with this incredible Indian-hip-hop mix (DJ was hot). Bollywood Instructor was freestyling around the space, spreading happy dust. So here’s THE STORY: this young Asian hip hop guy, shorts and black T shirt, finds a space near her, and starts stalking her – dance style – enticing her to dance with him. Picture this: she’s all Bollywood with flying arms and head tilts. She’s twice his age, opposite in gender and dancing style, and born half a world away. In a few beats, she spots him, and they start around in a circle, completely in their own styles, but communicating with each other through their dance. Within a measure of music they’re only dancing with each other, sharing, challenging each other, building on each other’s moves as they go round. The whole place snaps into focus on them. Cameras flash. It lasts about 2 minutes. And then they drift apart with a nod. They’re completely happy. A wonderful and meaningful communication, without a word. I’m ending this little dance with a question: What’s your story? You need to tell it to bring people into your world – for businesss, for relationships, for whatever you need. Are you communicating your story? Is it so clear and powerful that you could do it without words?